Cloudy this evening with thunderstorms developing after midnight. Low 64F. Winds SE at 5 to 10 mph. Chance of rain 80%. OPINION | John Dupont: "It's The Way It Is"
Those lyrics have passed through my mind more than a few times the past few weeks as residents in the Woodland Crossing subdivision went before the Livingston Parish Council to voice opposition to the Starwood Knoll multifamily development. The 144-unit development is planned for an area adjacent to the subdivision of more than 1,000 homes. Concerns ranged from diminished property values and traffic congestion to the additional burden on the sewer and drainage systems. The Livingston Parish Council on a 5-4 vote agreed Jan. 10 to send the preliminary plats back to the Planning Commission for a second look. The council punted it to the Planning Commission amid the impact issues, but developer Garry Lewis agreed to move the entrance route from Bonnie Blue Road to La. 447 as part of an attempt to alleviate additional congestion on a residential street. He also agreed to work with the parish on the drainage issues and a tie-in to the parish sewer lines. The parish regulation on development covers issues related to traffic, drainage, sewage and flooding. Once the developers comply, they’re off to the races. The 8-1 vote to accept the plans Feb. 7 brought anger and disappointment from most of the residents, but the parish had no choice. A denial in the face of compliance could lead to individual lawsuits against the council members, who had no choice in the matter. District 6 Councilman Jeff Averett, who represents the area, cast the lone dissenting vote. It did not matter, considering that most of the residents were angry and some said he did not put up enough of a fight to stop it. It was a lose-lose situation for Averett. I’ve covered the Parish Council three years, and the scenario plays out with the same predictability as darkness at nightfall. It happened with the Southern Aggregates gravel pit near Watson and it almost occurred with a gun range in a residential area near Springfield, only to fizzle when the landowner withdrew his plans. Maybe so, but it also safeguards communities and allows more consistency in those area. 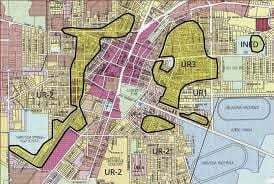 It means a business cannot locate in the middle of a neighborhood, and it would safeguard against mobile homes or multifamily complexes locating in a subdivision. Zoning involves many more facets, too many to delve into for this column. It’s obvious, however, the same problem will bring the same result time and time again until the word “zoning” is no longer considered obscene. The recommendation by District 7 Councilman Tracy Girlinghouse to form committees to discuss the master plan make perfect sense. Until they change the current ordinances, the result will repeat itself again and again. At some point, residents and government must come to a consensus that the parish could move forward if it accepts zoning legislation. It would bring a sense of uniformity and lead to a more consistent growth pattern. Yes, it means change. Some don’t like it, but at some point, it becomes inevitable, at seems to be the case here. Check out these Livingston Parish headlines from the weekend of February 15-17, 2019!